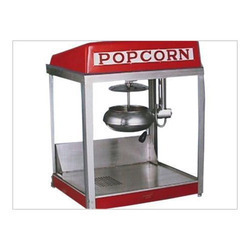 Prominent & Leading Manufacturer from Coimbatore, we offer snacks making machine, kaja puri machine, pani puri making machine and popcorn making machine. We offer highly efficient Snacks Making Machine. One of the most impressive features of out machine is that it ensures hygiene. It is highly durable and corrosion resistant. 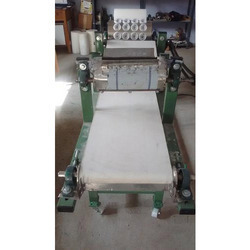 We have equally efficient Kurkure Making Machine and Fun Flip Making Machine. We ensure that our machines are easy to use and require low maintenance. It is totally dependable as it is made by using high quality raw materials. Smooth functioning and reliable timings ascertain satisfactory all round performance. We are counted amongst the recognized names in the industry, offering technically advanced array of Kaja Puri Making Machine. Our entire product line is compact in designs and requires minimum maintenance. Automatic Kaja Puri Making Machine is performance based and has high tensile strength. We are counted amongst the recognized names in the industry, offering technically advanced array of Pani Puri Making Machine. Our entire product line is compact in designs and requires minimum maintenance. Pani Pui Making Machine is performance based and has high tensile strength.